After downloading the file will need to be unzipped. Do this by double clicking the zipped folder and then clicking Extract All Files. Make a note of where the file is being extracted to and then follow the instructions. 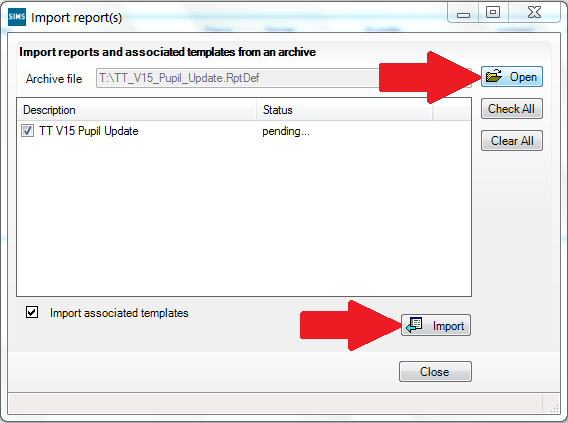 Click the Open button and browse to the location of the template file as pictured below. This will be the location we noted before after unzipping, click on the file and click Open. Click on the Import button to Import the file. When imported close this window. 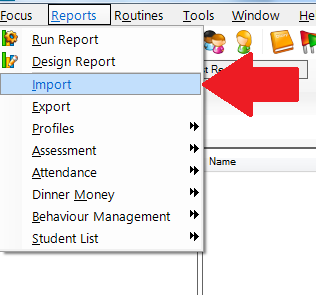 The report template will now be available from SIMS reports.